Adventure and Expedition Cruising is the fastest growing area of the already burgeoning cruise market. In fact some would say it’s not cruising at all, rather adventure by ship. As such, we at Cruise Passenger Magazine recognise that this very special form of experiential travel now requires its own magazine. An expert, specialist publication devoted to the unique needs of the ship and tour operators that clearly sets it apart from the traditional large ship product. The magazine will be produced by the regular Cruise Passenger Magazine team, with the addition of Roderick Eime as guest editor. A regular contributor to Cruise Passenger, Rod is a confirmed adventure cruiser, having travelled to both the Antarctic and Arctic, Galapagos, Amazon, Melanesia, New Zealand and more aboard everything from motorised dugouts to icebreakers. Readers will expand their horizons with new destinations and itineraries to keep their passion alive as well as investigate new ships that will take them there. 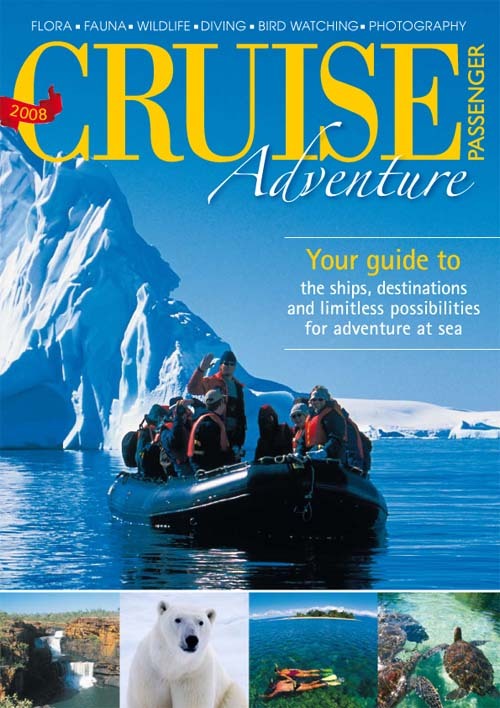 From the frozen reaches of the North Pole to the furthest Antarctic extremes and everything in between, Cruise Passenger Magazine’s Essential Adventure and Expedition Cruising Guide will be the definitive reference for the new wave of modern seaborne adventurers. Advertisers will be offered a potent blend of editorial and advertorial allowing them to highlight their product in the most favourable light. Editorial will highlight the exciting new destinations only adventure cruising can deliver plus explain for the first time traveller what to expect, how to pack and why adventure cruising will introduce them to a whole new world of life enriching experiences. The list of destinations will include the must-do’s of Antarctica, Russian Far East, Papua New Guinea, The Kimberleys, Melanesia, the Great Barrier Reef, the Amazon, Alaska, the Galapagos and much more.